Birmingham is becoming one of the most attractive cities to invest in across the continent, according to Kevin Jones, Partner at Brown Jacobson LLP. 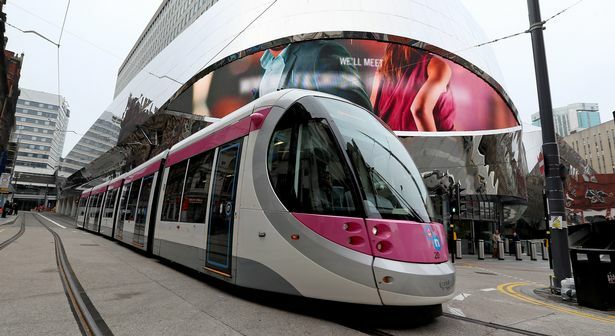 The leading lawyer cited the transformation of New Street, city centre tram extension, HS2 plans and relocation of HSBC as important demonstrations of Birmingham’s capabilities. Brown Jacobson is sponsoring Business Entrepreneur of the Year at BPBA 2016 and Mr Jones will have the difficult task of helping to select a winner as the deadline for nominations approaches on July 29. “Whether you are a start-up or a world leader, Birmingham is without doubt one of the best places to do business,” he said. “Its entrepreneurial spirit, flexible workforce, excellent universities and first class infrastructure and location are a winning combination. “The redevelopment of New Street Station, recently extended tram network, Curzon Street HS2 development and the decision by HSBC to relocate its retail and business lending headquarters to the city are just four examples that is transforming Birmingham into one of the most investable cities in Europe. “Above all it has a clear vision which is being turned into reality – much like the successful entrepreneurs we will honour at these awards. “If there is one quality that perfectly encapsulates our region through the ages it’s our entrepreneurial spirit. “Entrepreneurs are the lifeblood of the economy and for us the award recognises the qualities and attributes that are critical to delivering a successful and sustainable business in today’s environment. “Success breeds success and, by recognising today’s entrepreneurs, we hope to inspire the next generation of business leaders that will shape our region and ensure its long term prosperity. “Having previously participated in the awards we believe they are a fantastic opportunity for the business community to recognise and reward successful local businesses and the people that have played an important part in delivering that success. Mr Jones also told how Browne Jacobson plan to extend the growth they have enjoyed over the past six years. “Our commitment to innovate, invest in our people, develop our sector expertise and deliver exceptional client care based on trust and a true partnership approach have been the defining factors in our success. “It has seen us deliver consistently market-beating organic growth for the last six years, expand our UK footprint to five offices and attract an impressive portfolio of regional, national and international clients. “As a top 50 UK law firm we will continue to invest in these core areas, as well as seeking new opportunities, which will help us to achieve our ambitious plans for long term sustainable and profitable growth.